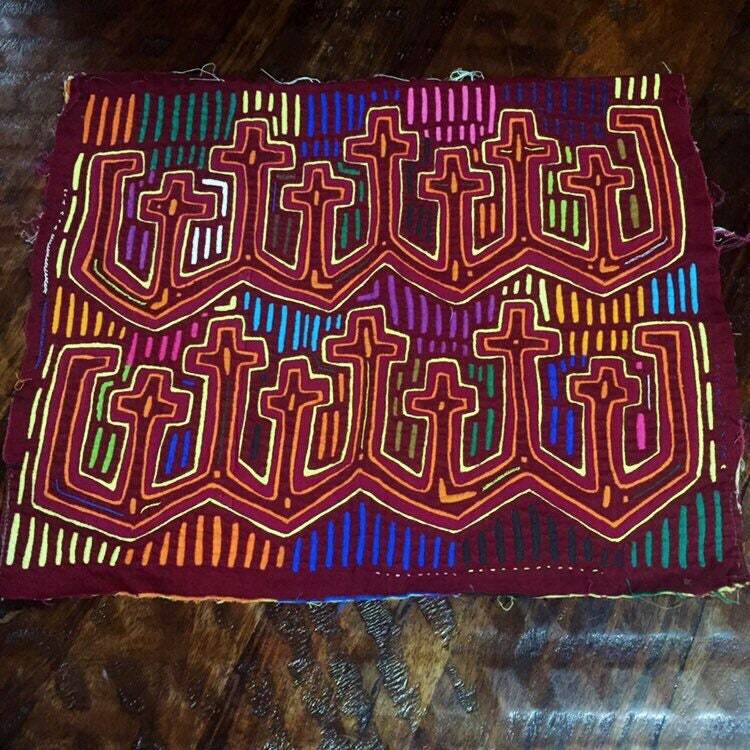 Hand stitched Kuna Mola Art (approx. 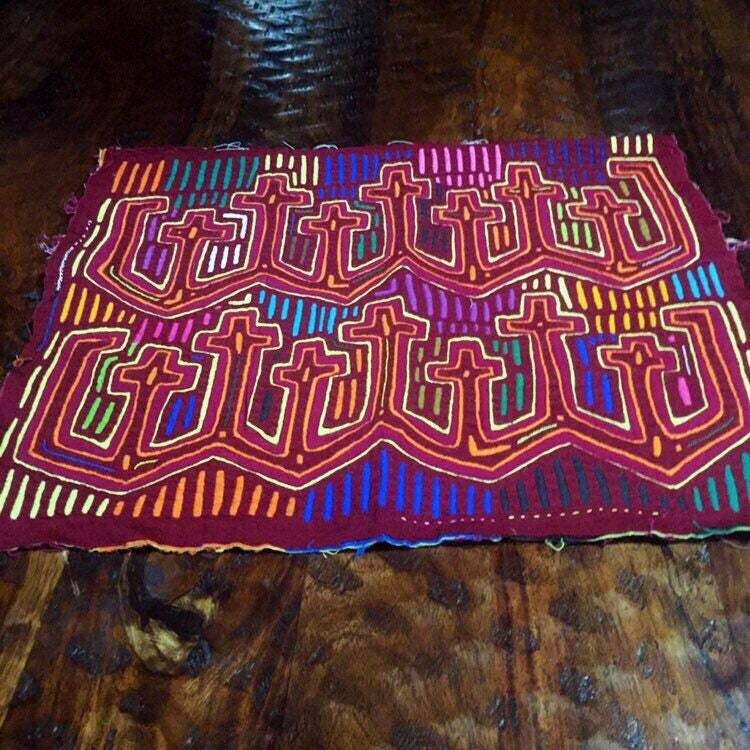 15" x 13"). 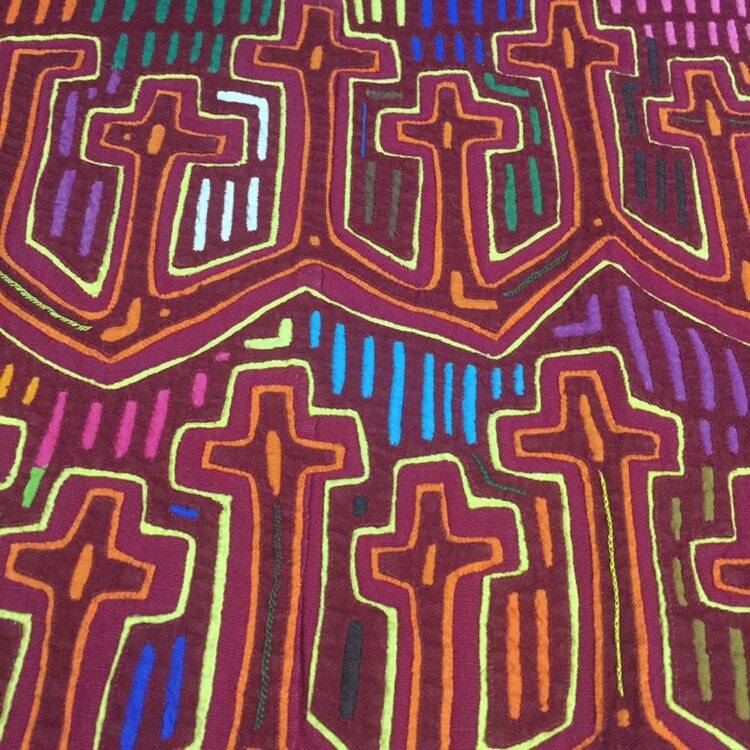 Burgundy primary color with colorful geometric design. 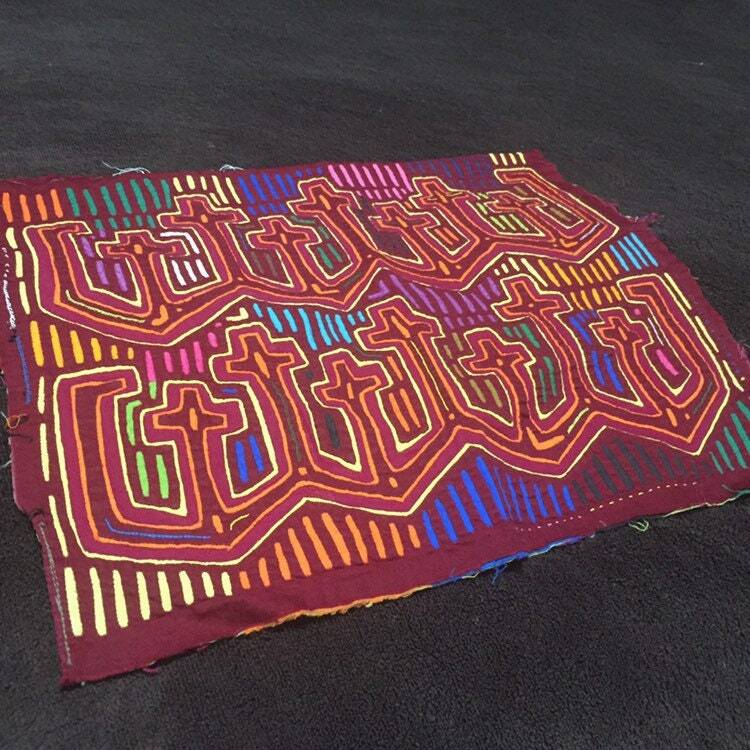 One of a kind piece of art. Each one is unique. 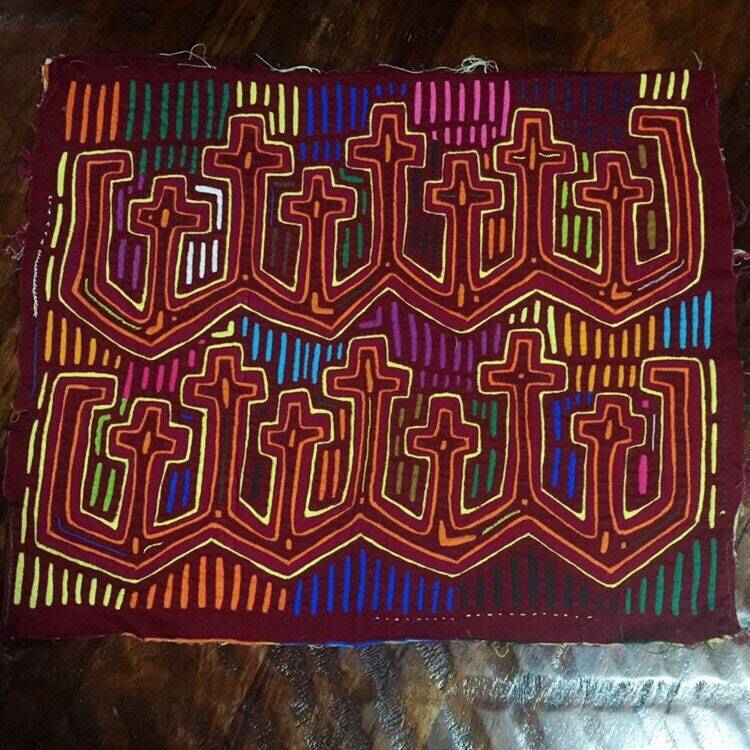 These are authentic Kuna Molas from western Colombia. The Kuna tribe, one of the largest remaining indigenous tribes in South America, are from the San Blas islands of Panama. Some also live in small villages in western Colombia. 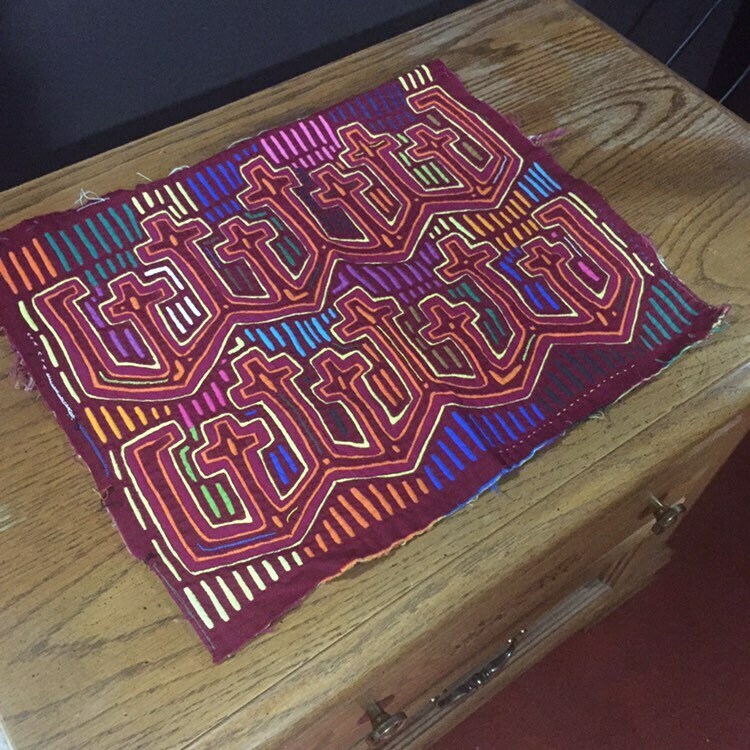 The native Kuna women hand stitch these beautiful Molas. 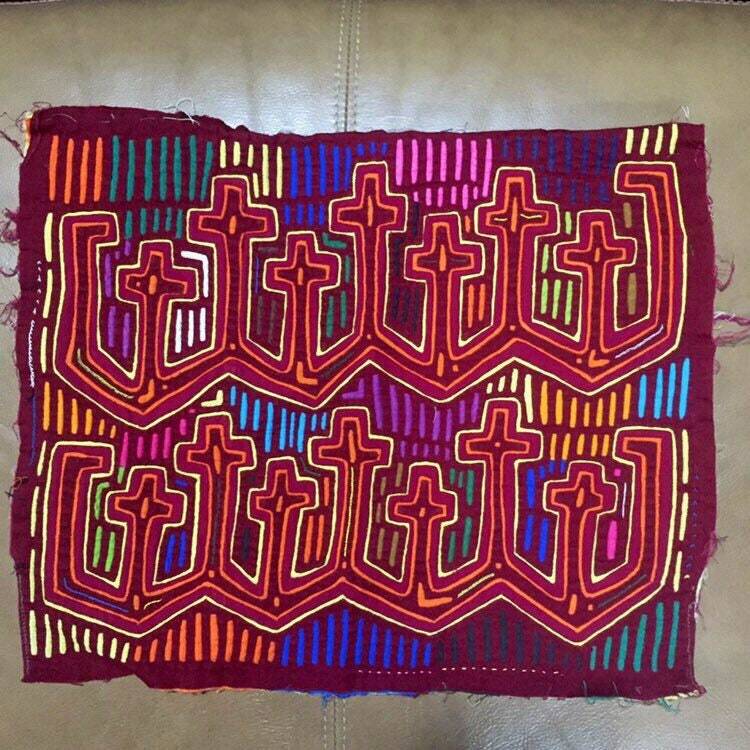 Using a reverse appliqué technique, multiple cotton layers are sewn together with cutouts and different colored thread to create their ancestral traditional designs. 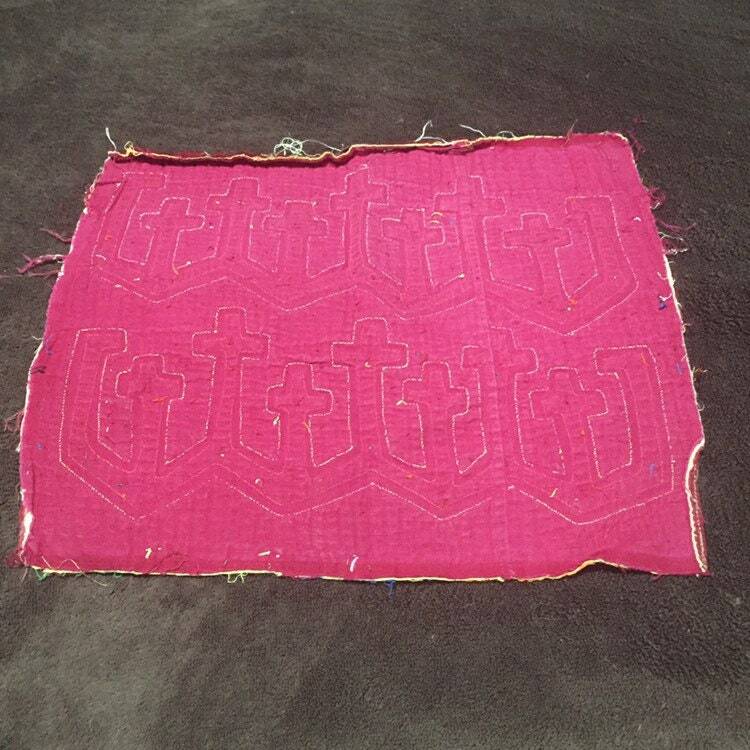 These are traditionally sewn into blouses. They also look great as a table centerpiece, framed as wall art, or sewn into pillows.